I'm bad at learning new languages. Like really bad. So bad, in fact, that I kind of want to do a thing where I try each service that's out there right now. If they can teach me, then you know they must be good! If they can teach me, they can teach anyone. One of the biggest in this space is Babbel, the maker of an online learning system for foreign languages, which has just raised $22 million in funding, it was revealed on Wednesday. The round is led by Scottish Equity Partners and supported by existing investors Reed Elsevier Ventures, Nokia Growth Partners, and VC Fonds Technology Berlin managed by IBB Bet. This is the first funding that the company has raised since its $10 million round over two years ago, which brought its total raised to $12.2 million. It has now raised $34.2 million in all. 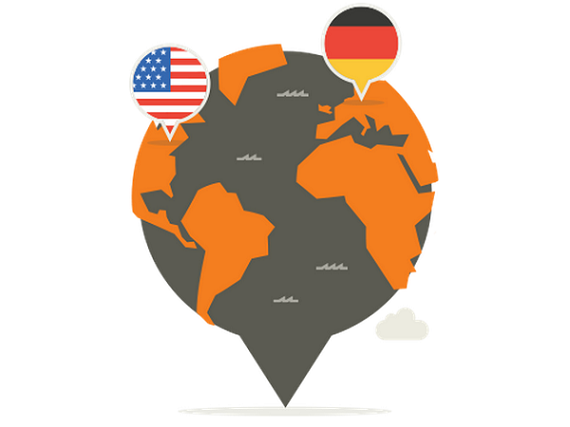 Founded in 2007, Babbel is operated by Lesson Nine GmbH, also based in Berlin. 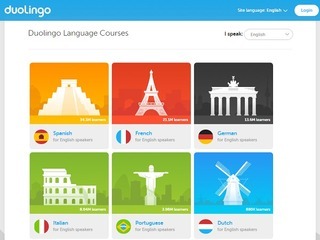 It offers over 6,500 learning hours for thirteen languages on the Web, an iPad app, and as free vocabulary training apps for iPhone, Android and Windows 8. The company offers lessons in French, Spanish, Italian, Russian, Portuguese, Swedish, German, Dutch, Indonesian, Polish, Turkish, Norwegian, Danish and English, using interactive listening, writing and speaking exercises. The company sells subscription plans for 1, 3 or 6 months, and users can try a free demo lesson before purchasing the product, before purchasing monthly, three-monthly, six-monthly, or yearly payment plans. Babbel says that is has been profitable since 2011, with its mobile app now seeing up to 120,000 downloads per day. "The money will help fuel our continued growth worldwide. In terms of product development, it’s important for us to explore new technologues and remain at the cutting edge," a Babbel spokesperson told me. "Having good content isn’t enough, the important thing is to integrate with day-to-day life and motivate people to continue learning. Our recently released app for Apple Watch is a good example of this: it allowed us to bring together online learning and the physical world in a new and effective way." The Berlin-based company recently opened its first office in the United States, with Thomas Holl, Co-Founder and President of Babbel, heading up operations in New York. "A double-digit portion of our revenue comes from the US – so it’s already a very significant market for us. We’re now working to increase our brand awareness there and searching for the best people to join our New York team," the spokesperson said. "We are first and foremost a learning company, both on the inside and the outside: we’re constantly developing ourselves as well as innovating and improving our product. Compared to our business volume, $22 million is not an enormous sum – it’s enough to help us remain agile whilst continuing to push the envelope in this way." Babbel, of course, isn't the only player in this space, and some others have recently raised funding as well. That includes the company that is probably Babbel's biggest competitor, Duolingo, which raised $45 million in funding in a round that was led by Google Capital in June, bringing its total funding to $83.3 million and reportedly values the company at $470 million. In March, a more recent entry in the space, Lingua.ly, which takes a new approach to digital language learning with a free cross-platform solution that combines an online dictionary with a smart personalized flashcard system to teach beginner through advanced learners via web immersion, raised a $1 million seed round. Lingua.ly takes a new approach to digital language learning with a free cross-platform solution that combines an online dictionary with a smart personalized flashcard system to teach beginner through advanced learners via web immersion. The patent-pending NLP technology allows users to collect vocabulary from anywhere on the web including (Google, Twitter and Facebook) and then learns their ability level and interests through a word bank to effectively serve them current, web-based reading content pitched at each user’s unique level. Lingua.ly’s blended learning solution can be used as a stand-alone product or to complement language classes and self-study course-ware. 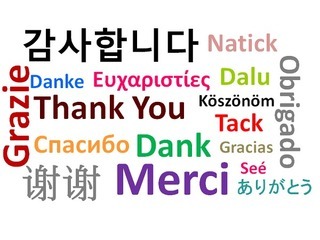 It is operable via desktop or mobile and supports 18+ dictionary languages.